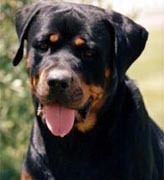 California has a strict liability dog bite statute that states that the owner of a dog is liable for damages inflicted by his/her dog if it bites a person who is either in a public place or lawfully in a private place, including the property of the owner of the dog, even in the absence of evidence of prior viciousness of the dog or the owner's knowledge of such viciousness. Cal. Civ. Code § 3342. The dog owner is liable regardless of whether the dog had ever been vicious before and regardless of whether the owner had reason to believe it would behave in a vicious manner. The dog does not get "one free bite," as is the case in some states. Unfortunately, if a stray bites you, you have little legal recourse because you must file your claim against a dog's owner or keeper. Your municipality is not responsible for the dog, even if you have called the animal warden several times to pick up the stray.